Notasulga Town Lake is a recreational area with a small picnic area. The lake provides excellent fishing, and small boating opportunities. The Town Lake is a short drive from Notasulga Town Hall. 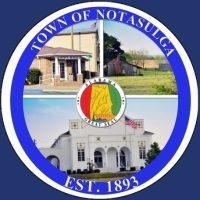 Notasulga has a Recreational Park located on Union Camp Road with a pavilion, benches, basketball court, baseball fields, and a walking track. See map below for locations.